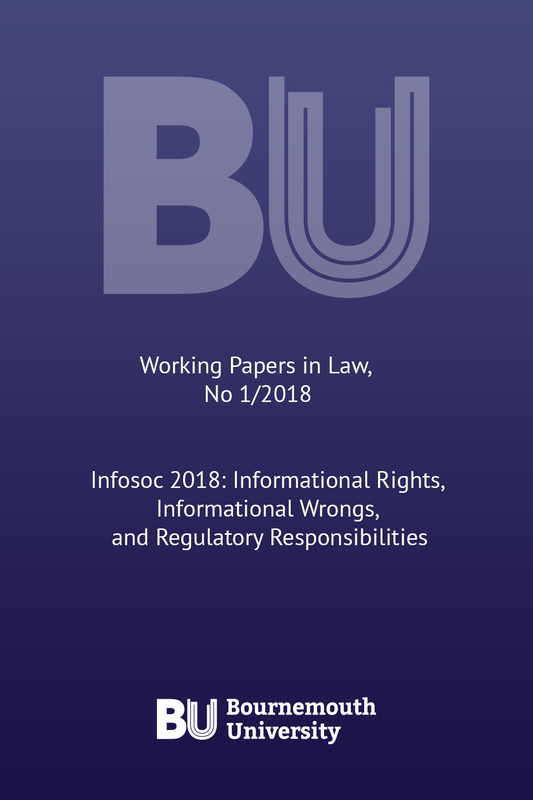 This is the first edition of the Bournemouth University Working Papers Series, launched in March 2018, which represents research articles from staff members of the Law Department at Bournemouth University. The information that surrounds us, in a digital world, has many legal implications and raises a number of questions, which require further examination. As such, the Working Paper in Law Series introduces the field of informational rights and wrongs as one that invites further inquiry. The papers presented in this Series will explore various informational interests cutting across a large number of different legal disciplines as well as other topics of interest. Led by Professor Roger Brownsword (Consulting Editor, BULR), the BUWPS provides a platform for legal inquiry in this fast-moving field, whilst representing the research of BU Law Staff, through this student-staff co-created journal.